Each month, subscribers will receive a quilt block that will teach you new skills and give you a fun, but quick, project to look forward to! Each month’s block will be different. No two months will use the same technique! 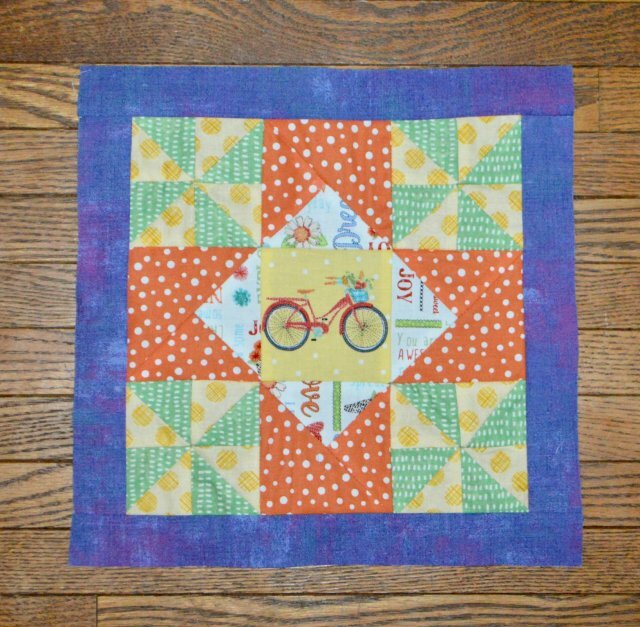 Any quilter, beginner, intermediate, or advanced, will enjoy this! 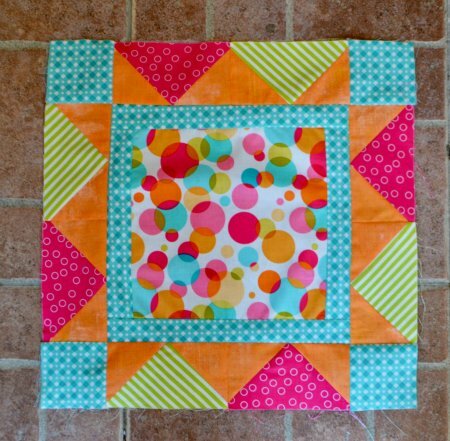 If you are a beginner, it’s a great way to learn quilting skills without the overwhelming task of a larger quilt! 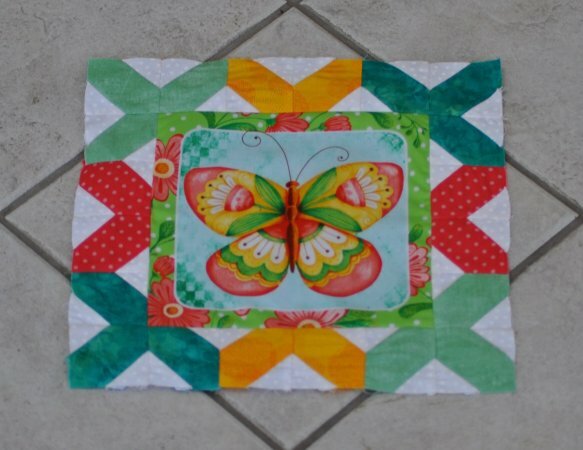 If you are a more advanced quilter, you will enjoy the smaller projects in between your larger quilting tasks. 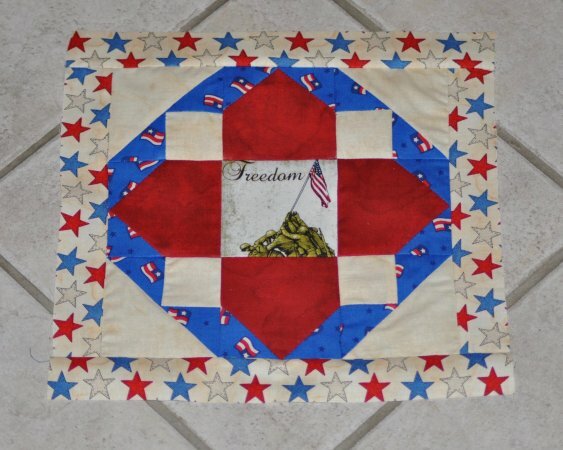 You can take the block and make a hot pad, a mug rug, center block of a pillow, sew it on a towel, the front panel of a tote bag, add left and right borders and bam a placemat, ask for 2 more blocks just like that months and bam the top of a table runner, and more. The block size will range from 10 to 16 inches, finished. At some point during the week after we ship the blocks, sewing the block itself will be demonstrated on video right here in the Facebook group. If you are local, you might have the block before the video posts because you didn’t have to wait on shipping. Each month, subscribers will pay $4.99 for the block. Shipping is $3.99 if all you have is the block. The monthly mystery block invoices the second weekend of every month. If you are local, you don’t pay shipping of course! Just pay when you pick up! You can pick up the third week of every month! If you don’t want to pay monthly, here is a second option! Pay annually, all at once, invoice due on the second week’s order list in January, and receive a 10% discount on the entire price (not shipping). We can’t discount shipping costs! What fabric will you use? We aren’t telling! It’s a mystery block for a reason! However, we will NEVER use licensed, character fabric. We don’t know who has children, grandchildren, what their likes/dislikes are, etc. And if you have children or grandchildren, you know those likes/dislikes change with certain regularity! How will the fabric for the kit be cut? 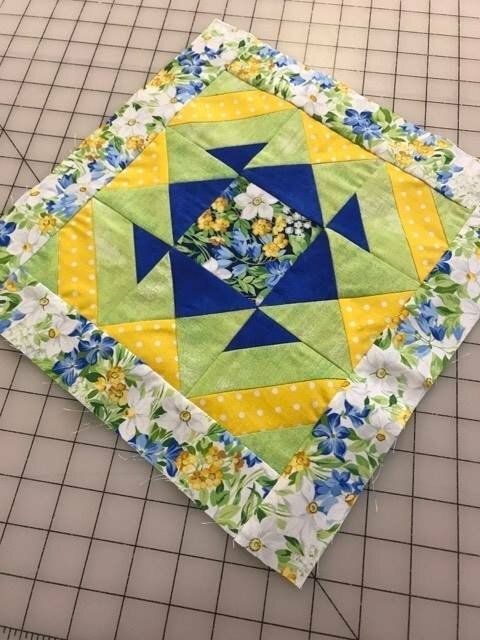 Most kits will have pieces cut using our AccuQuilt Studio machine. You will in many cases only need to cut minimally to be able to sew. We aim to make this easiest for you! Cutting is not typically the favorite activity. However, since you are not receiving large yardage pieces, do NOT prewash! You can never ever prewash precut fabric. Additionally, do not starch precut pieces as it will change their shape. Starch after you have sewn your block. Do not wait to sign up!!!! January's block sold out fast! We had so many ladies sign up ahead of time, and more sign up after the block shipped! We sold 88 blocks locally / online and have no more fabric to make that block! We are thrilled at the welcome response to this! SIGN UP by calling 217-330-9110! We will be thrilled to add you to our monthly program! 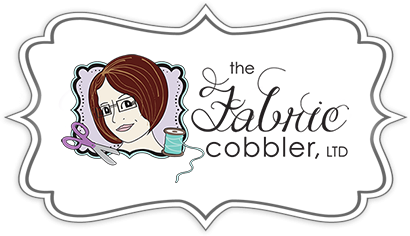 ALSO Sign up by emailing scarlett@thefabriccobbler.com! Please include in your email a full shipping address for your block and an email address to which we can email the invoice on the second weekend of every month! January Block Image - again, remember this one is sold out! But, we plan to update this page with the image of each month's block ONCE it has been picked up or shipped for our clients who are a part of the program! 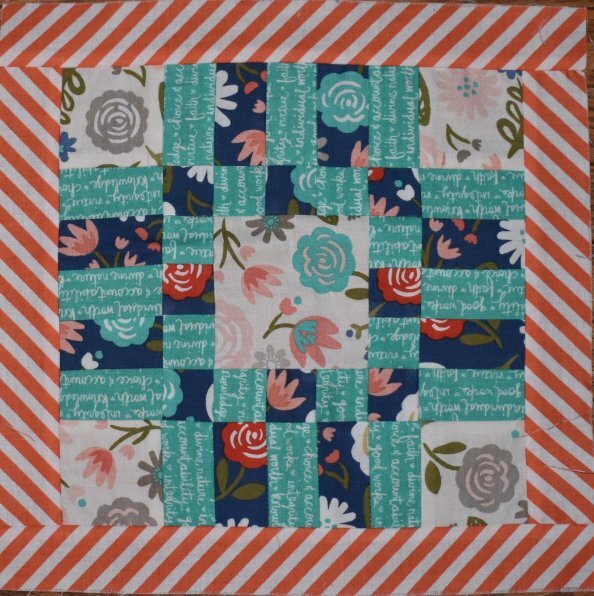 February Block Image - Available for purchase! March Block Image - Available for purchase! April Block Image - Available for purchase! 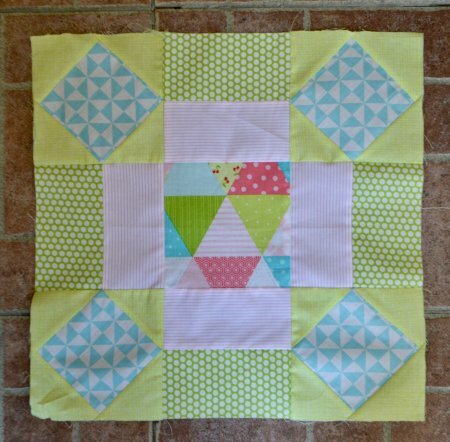 May Block Image - Available for purchase! June Block Image - Available for purchase! 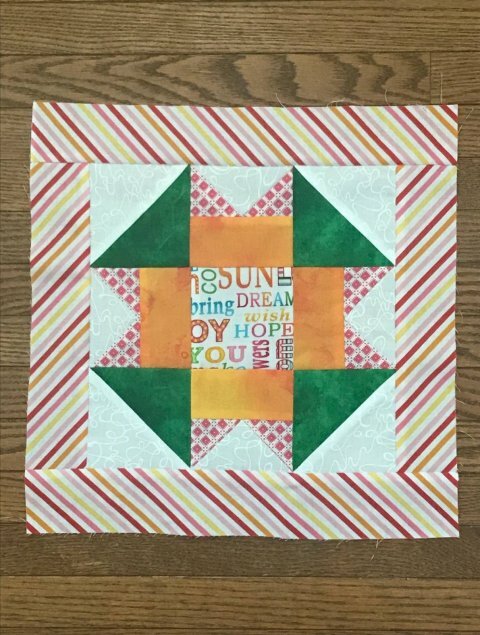 July Block Image - Available for purchase! August Block Image - Available for purchase!